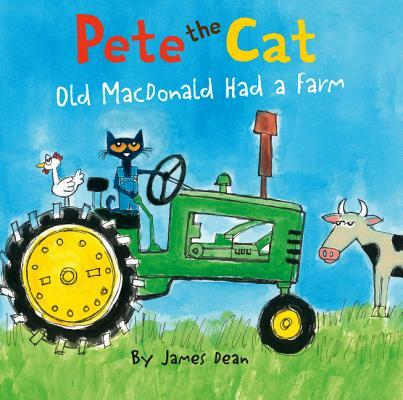 New York Times bestselling author and artist James Dean brings us a groovy rendition of the classic favorite children’s song “Old MacDonald Had a Farm,” sung by cool cat Pete and perfect for sing-along time with young readers. This board book of Pete the Cat: Old MacDonald Had a Farm features sturdy pages and is just the right size for small hands. The book is filled with vibrant, engaging illustrations for even the youngest of Pete fans.